The STARS Brake Automation System is an integrated automation, acquisition and control system that provides a broad range of application functionality in a single, powerful environment. STARS Brake provides the user with an interface to control all aspects of the brake dynamometer in one location, enabling increased efficiency and fluency of the testing and development procedures. 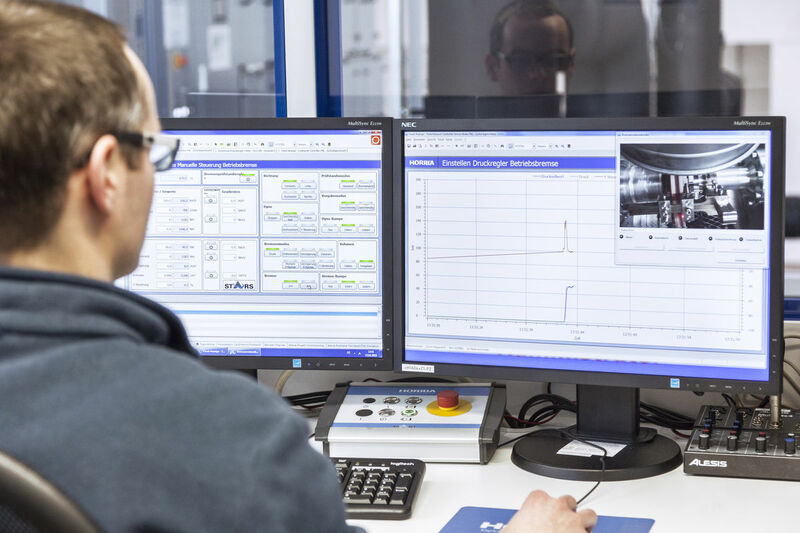 STARS Brake is designed to address the needs of a wide range of brake testing applications from component development to certification of vehicles ranging from motercyles to high speed railway applications. STARS Brake offers users a level of flexibility and openness that is unmatched in the market. The STARS Brake experts can provide a variety amount of well-known industry test procedures and can also develop customer specific test procedures. To eliminate test down-time all test procedures come pre-loaded on the STARS Brake workstation or can also be transferred digitally allowing the user to simply load the program.